Charlotte Marie Brady, Founder and Consultant at The House of Beautiful Things, worked with us specifically to build the brand and business foundations as aligned to our vision and guide the creative direction for the company. Bringing with her 11 years of experience directing & consulting in strategic (and beautiful) communications, Charlotte’s experience and studies have specialised in organisational communication, branding, and sustainable work cultures. In addition to building useful business foundations that consider the impact of goals on branding and communications, she also ensures her work aligns with the latest research supporting work-place wellbeing to foster staff performance. Charlotte was placed in the top percentile of her Business Degree at the University of Technology, Sydney Australia, and has since worked for some of Australia’s leading creative communications agencies, strategically guiding national and international corporations including AMP, IAG (NRMA), GE Money Australia, The Bank Of Melbourne, ACON, The City of Sydney, North Sydney Counsel, Australia Post, NSW Health, RSPCA, The Price of Wales Hospital, Telstra Australia, Intel Australia, Terradata Australia, Blackberry Australia; Frasers Property, Colliers, Mirvac, Grosvner Place, Manfredi, Goodman; Manfredi (Collective), Vue de Monde (Collective), The Royal Mail Hotel, Edgell & Birdseye. 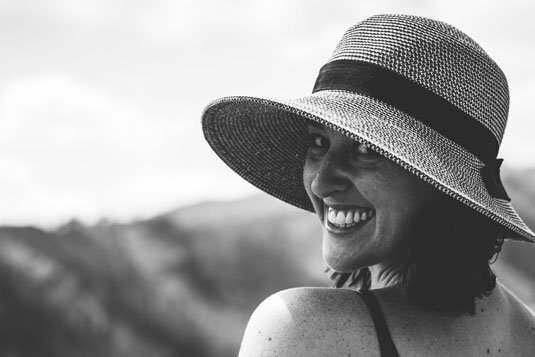 After more than nine years climbing the corporate ladder, including two years as a senior director at the highly respect Frost* Collective, Charlotte returned to The University of Sydney and completed a masters certificate in Human Resource with a focus on wellbeing and organisational psychology. She was placed 2nd in the course with a special mention for her work in organisational communications, sustainable business foundations and staff performance. Late 2016, Charlotte moved to Colorado USA with her fiancé. Here, following the launch of her book “Balancing Work (Love) & Life”, she founded The House of Beautiful Things through which she guides businesses to ensure sustainable brand foundations, visual and cultural alignment, as well as staff wellbeing and performance. Over the last two years she has supported a broad range of American & Australian organisations including: Connected Speech Pathology, BeCause Movement, Noula, Artereal, The Gazette Colorado Springs, Heather Sam’s Fine Portraits, Orchestrating Excellence, Life’s Little Distillery, Graysan LLC, YouGetScene,The Valla Group, Pillars, NVTAC, MASH, PDX, USDA, RI Cares, Mathematica, and our very own Nala.